This entry was posted on September 17, 2018 by Marketing. The Pitbull Conference is the oldest and largest organization of its kind in the country: educating brokers, lenders, and investors as to the emerging opportunities that exist in hard money lending. Their success can be attributed to their track record of consistently producing quality events for industry professionals to network and grow their businesses. They take great pride in the lasting relationships they have cultivated over time with both sponsors and attendees. Their mission is to help facilitate the ease of which any hard money privately financed transaction might occur. They connect borrowers to brokers, brokers to lenders and fund managers to investors at their live events and through their online directory. They also provide important information regarding changing marketplace conditions and industry standards. This year, Patch of Land is excited to be attending the event in Austin, Texas. A two-day event for real estate professionals. Presentations on a wide range of topics pertaining to real estate based private money financing. Exceptional speakers representing all facets of the industry–providing on point and insightful commentary. 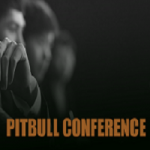 To learn more and register for this year's Pitbull Conference in Austin, click here.